I have way way way too many brushes! Letting go of some I love, but just don't have the room anymore. 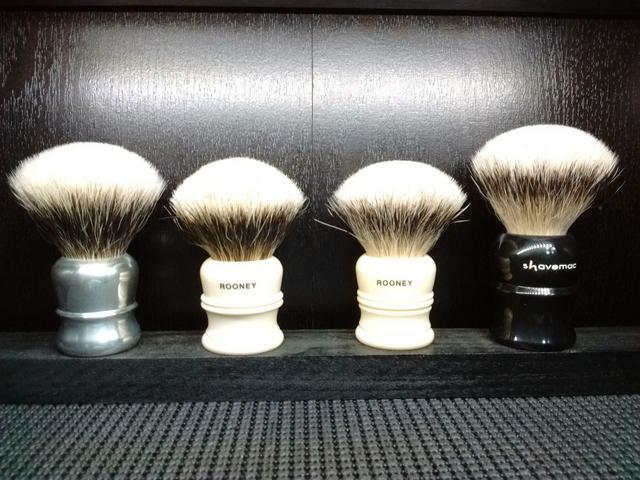 All brushes are in great shape (no shedding issues!). I'm the original owner unless otherwise noted. I should have all original boxes if they came with one. Most of these have seen minimal use. All prices include shipping conus only please. If you have any questions please let me know. 1) Simpson Duke 3 Silvertip-asking $200 shipped. SOLD!! 2) Landmark Essentials-Just got anoter one with a little shorter loft which is perfect. Bought here for $90 shipped, selling for $90 shipped. SOLD!!! 3) Lee Sabini M&F 2XL-Paid $240 shipped, asking $210 shipped SOLD!!! 4) Sabini/Sears Polo style 28mm-Paid $235 asking $190 shipped SOLD!!! 5) BSB 2-band-Paid $155 asking $95 shipped. 6) Rooney 1XL-Bought here, been used 4 or 5 times between the previous owner and myself. Not even close to being broken in. The tips are starting to curl. Absolutely exceptional knot. One of the O's has a printing defect. It's not really noticeable except up close. I've included a close up picture of it. Paid $240 asking $230. SOLD!!! 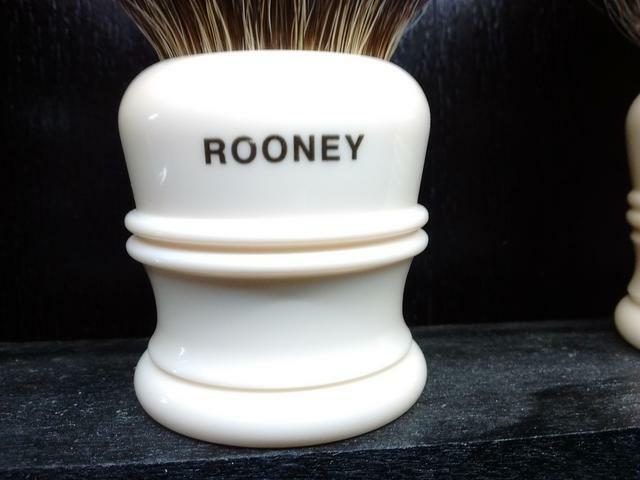 7) Rooney Stubby 1-Paid $160 asking $95 shipped SOLD!!! 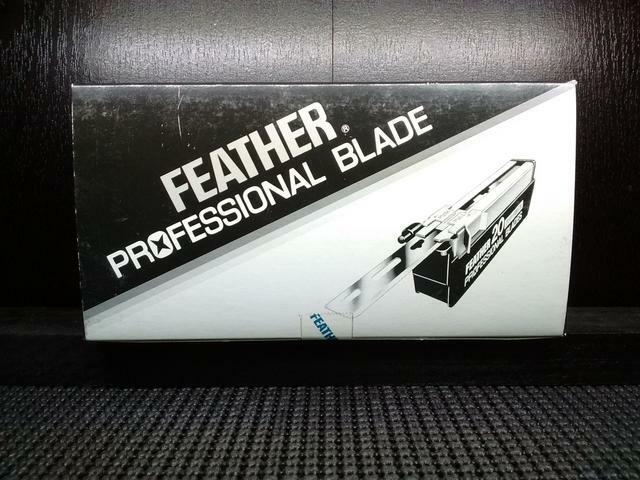 Finally I have a brand new unopened box of Feather Professional blades. Paid $85 shipped, asking $80 shipped. Man, you got me all excited with the words Rooney Finest in the title! 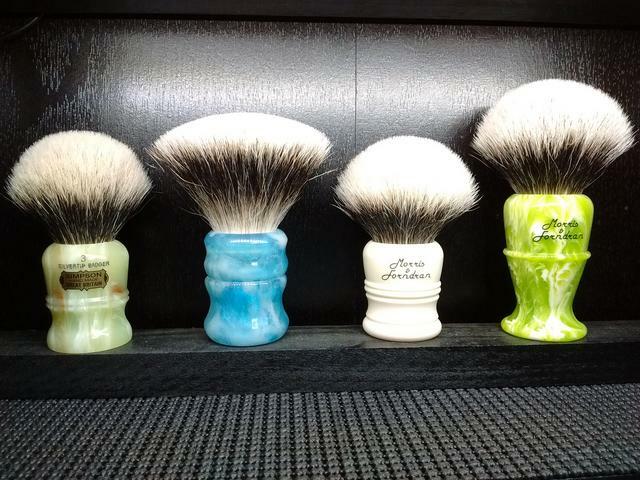 Lovely brushes, GLWTS! (10-11-2017, 03:50 PM)merkur man Wrote: Man, you got me all excited with the words Rooney Finest in the title! Lovely brushes, GLWTS! What's the size on the Landmark? (10-11-2017, 06:00 PM)_the_knight Wrote: What's the size on the Landmark? Shame it wasn't an actual Rooney Finest! Yeah, I clicked because I saw Rooney Finest. (10-11-2017, 11:47 PM)kooshman7 Wrote: Yeah, I clicked because I saw Rooney Finest. Yeah, I didn't intentionally do that. I call 2-band brushes finest so it was out of habit. Sorry fella's, didn't mean to get your hearts racing! Didn't bother me one bit. Plenty of other fine brushes to look at! I think even if you had finest well at the end my eyes would've just cut out everything in the middle and shortened it down to Rooney Finest anyhow! Are the M&F's Blonde or Finest? (10-12-2017, 01:49 PM)Puma Wrote: Are the M&F's Blonde or Finest? ivory is finest, green is blonde. Thanks. I see now that the 2xl (ivory) is sold. Massive temptation from the green one right now.